What is this MTHFR gene? Time for a little science – more like a lot of science. Methylenetetrahydrofolate reductase (MTHFR) is the enzyme that manufactures 5-methyltetrahydrofolate, a key biomolecule in the methionine cycle which produces methionine and precursors to cysteine, two important amino acids, which are the building blocks of proteins. MTHFR also is a part of the folate cycle which produces the critical biochemical folate (or folic acid), an essential nutrient. MTHFR is encoded by the MTHFR gene. Accumulation of the methionine precursor, homocysteine, which can lead to several types of injury including DNA and vascular damage. People with high homocysteine levels typically respond well to supplementation with vitamins such as B6, B12, and folate or folic acid. Because the folate cycle is disrupted by the MTHFR gene mutation, folate (see Note 1) supplementation may stimulate the conversion of 5-MTHF to THF, which is necessary for DNA and RNA synthesis (see Note 2). There is some good evidence in large epidemiological studies that low dose folic acid supplementation may benefit those with the MTHFR deficiency. There are several mutations in this gene that have been identified, but in all but a handful (less than 50 cases), residual MTHFR enzyme activity remains, sometimes close to normal levels. To be clear, MTHFR gene mutations are not an on/off proposition–there is a range from almost no MTHFR enzyme activity (very rare) to almost “normal” physiological levels. What matters is not the mutation itself, but the levels of homocysteine or folate, which, again, can be easily diagnosed by blood tests of the level of these biochemicals. Genetic variation in the MTHFR gene may influence susceptibility to peripheral artery disease, neural tube defects, Alzheimer’s disease and other forms of dementia, colon cancer, and acute leukemia. Additionally, variations of MTHFR gene mutations have been studied in connection to stroke, high blood pressure, and heart disease, as well as bipolar disorder and other conditions. However, these associations have not been established by high quality case-controlled epidemiological studies, these are only some preliminary observations that probably need to be investigated more fully. One last thing. MTHFR gene mutations are easily diagnosed by high levels of homocysteine and low levels of folate. These conditions can be diagnosed with an inexpensive test (or if you’re willing to waste money by a genetic test, but that’s really not necessary). Of course, those who eat a good diet of foods high in folic acid (which includes a lot of different foods including beer) probably would not notice MTHFR gene mutations. Now let’s get to the internet myths about the MTHFR gene mutations. This will be loads of fun. Absolutely not. Any of the several mutations of the MTHFR gene is generally passed from the genetic material of one of the child’s parents. Either or both parents have the defective gene, and pass it to the genetic material of the embryo. There are very rare circumstances, wherein the very early development stage, which may only include a handful of cells, an MTHFR gene mutation may occur. But this is very rare. We need to clear up something in human development. even though a mutation may occur in one cell of the embryo, that mutation is not passed along to all cells. That’s not how human development works. So, technically if in the very rare case that an embryo got the MTHFR gene, it may not be in all the cells of the body. In fact, because most of the cells have a normal MTHFR gene, one may not even notice the mutation. Some people also think you can do something to suddenly get an MTHFR gene mutation. They believe that vaccines, gluten, GMO foods, mercury, unfiltered water, fluoride or whatever nonsense known to the internet will induce a mutation in a whole body. Except that’s not how it works. It’s simply implausible to believe that anything could cause a mutation in every single cell of the body. It’s difficult to imagine that it causing such a selective mutation to one cell. But an MTHFR gene mutation simply will not spread through the body if one could induce an MTHFR gene mutation in a cell or two. It is almost always inherited from parents. While the association of AEs (adverse events) with a non-synonymous polymorphism in the gene for MTHFR points toward functional significance of this SNP (a single nucleotide mutation), fine mapping of this locus should determine whether this is indeed the case. For all three candidate genes, both follow-up replication and functional studies are needed to establish the plausibility of the association of common genetic polymorphisms with the hypothesized etiological pathways. Editor’s note: they examined three genes, only one of which was associated with MTHFR. In other words, they found some evidence of a link between smallpox vaccination adverse effects and a possible MTHFR gene mutation – but the evidence did not support a conclusion that vaccinating individuals with the MTHFR had caused adverse events. 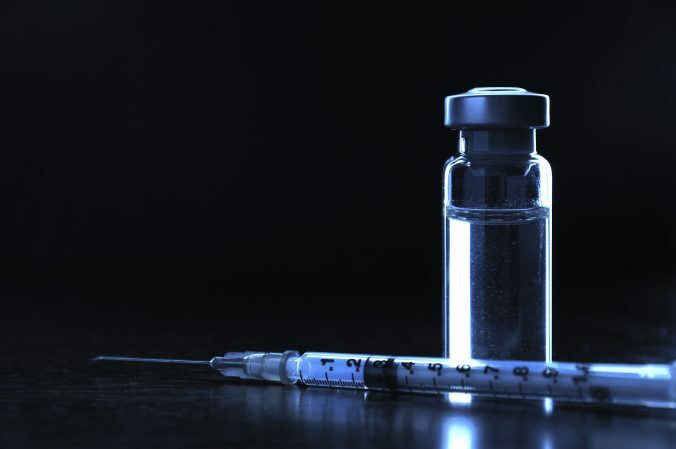 Moreover, the researchers stated that biological plausibility, that is that it is plausible to believe that a smallpox vaccine would be affected by the MTHFR gene mutation, needs to be established first. There is not much biological plausibility, let alone evidence, that a vaccine can be associated with the MTHFR enzyme. Even though the folate and methionine cycles appear to be complex, and could be potentially harmed by a vaccine, they really aren’t complex, and there is just no plausible belief that a vaccine’s antigens could affect the folate/methionine cycles. Moreover, individuals who are being successfully treated for the consequences of MTHFR gene mutations probably wouldn’t be affected by vaccines, since those two biological cycles mentioned above will work perfectly well with supplements (see Note 3). Unless you ascribe to the logical fallacy of the precautionary principle, meaning you need to have evidence that there are no risks whatsoever, then there really is nothing here. Right now there is simply no valid concerns about vaccines in children or adult with the MTHFR gene mutation. One internet quack, Ben Lynch, a naturopathic “doctor” (pure pseudoscience), tries to make claims that MTHFR gene mutations cause a whole host of diseases, using “peer-reviewed” articles. Many of the studies are just plain cherry picking, choosing research that supports his point of view, rather than looking at studies that dispute it. It is published in a very low impact factor journal, not well cited by other journals. It uses a small population (about 300 subjects) in one small area of China. The confounding factors are so huge as to be almost laughable. There does seem to be some relationship between the gene and colon cancer, but ONLY in patients that had low folate intake and low folate blood levels. Moreover, there were a large number of confounding variables like smoking and diabetes that also increase the risk of colon cancer in the same group. No study could disassociate the various factors from MTHFR gene mutations. I would bore you with a discussion of each paper, but as I reviewed each one, I could find none that associated one of the mutations with a particular condition that couldn’t be easily treated. The mutation itself didn’t cause the disease directly–it was the lack of treatment that leads to the disease. Lynch is trying to tie the disease states to various MTHFR gene mutations – but, the mutation doesn’t cause the disease, but the lack of folate or excessive homocysteine, both of which can be treated quickly and successfully. But the most glaring and horrific error in his list of “research” was a claim that thiomersal was associated with autism with those who have one of the MTHFR gene mutations. The evidence comes from whale.to, an antisemitic, hate-filled, chemtrail believing website run by a pig farmer. I kid you not. Using whale.to as your evidence, which ranks at the bottom of the hierarchy of scientific evidence, is almost sufficient to dismiss everything that Mr. Lynch claims with respect to MTHFR gene mutations because if he couldn’t use real science there, it’s obvious that he really doesn’t understand science. But then again, Lynch is a woo-pushing naturopath, so there’s that. MTHFR gene mutations are a serious problem if left untreated. The effects of MTHFR gene mutations can be easily diagnosed and treated, even in the young. MTHFR gene mutations do not lead directly to various disorders and diseases, only the lack of cheap and effective treatments do. Quacks who are pushing MTHFR gene mutations as the basis of a wide range of diseases are in it for money, because, it is easily and cheaply treated (in most cases). MTHFR gene and vaccines – no relationship, and there is no relationship between the mutation and vaccine adverse effects. None. Pseudoscientists try to claim that folate and folic acid are totally different – in fact, they are simply two forms of the same chemical. Folate is a water-soluble B vitamin that is naturally present in some foods and available as a dietary supplement. “Folate,” sometimes called “vitamin B9,” is the general term for both “natural” folates in foods and in supplements such as folic acid. Food folates are in the tetrahydrofolate (THF) form whereas folic acid is the fully oxidized form that is used in fortified foods and most dietary supplements. To add more confusion to this topic, “folate” is the anion form of folic acid in water. From a biochemical standpoint, all of these forms, whatever the claims, are biologically equivalent, and all are part of the folate cycle. There’s a whole internet worth of pseudoscience that pushes something called 5-methyltetrahydrofolate (5-MTHF) to treat MTHFR gene mutations because someone looked at the chart near the top of this article and figured out that the MTHFR gene mutations would suppress production of 5-MTHF. However, that oversimplifies (typical pseudoscience) the methionine and folate cycles. There are a lot of feedback loops that control the production of a boatload of stuff necessary for good health. And, once again, MTHFR gene mutations that completely shut off 5-MTHF production are extraordinarily rare – only 50 cases. Almost all of the MTHFR gene mutation individuals produce adequate 5-MTHF and can be supplemented by folic acid. If you look up 5-MTHF, you will find only non-evidence based medicine pushers who try to make you think that you need to supplement with this form of folate. Plausibility is extremely important to biomedical research. You might find that kids break their arms at a higher rate post vaccination than the rate for those who are unvaccinated. That might be interesting, except there’s no plausible way a vaccine could cause the bones of their arm to weaken in any appreciable way. Maybe the real plausible hypothesis is that vaccinated children have superior immune systems, so they’re out playing baseball and soccer, occasionally breaking their bones. This article was originally published in May 2015. It has been extensively updated. Hickey SE, Curry CJ, Toriello HV. ACMG Practice Guideline: lack of evidence for MTHFR polymorphism testing. Genet Med. 2013 Feb;15(2):153-6. doi: 10.1038/gim.2012.165. PubMed PMID: 23288205. Reif DM, McKinney BA, Motsinger AA, Chanock SJ, Edwards KM, Rock MT, Moore JH, Crowe JE. Genetic basis for adverse events after smallpox vaccination. J Infect Dis. 2008 Jul 1;198(1):16-22. doi: 10.1086/588670. Erratum in: J Infect Dis. 2008 Sep 1;198(5):796. PubMed PMID: 18454680; PubMed Central PMCID: PMC2746083. Sibani S, Christensen B, O’Ferrall E, Saadi I, Hiou-Tim F, Rosenblatt DS, Rozen R. Characterization of six novel mutations in the methylenetetrahydrofolate reductase (MTHFR) gene in patients with homocystinuria. Hum Mutat. 2000;15(3):280-7. PubMed PMID: 10679944. Wang B, Wu H, Li Y, Ban Q, Huang X, Chen L, Li J, Zhang Y, Cui Y, He M, Tang G, Yin D, Li J, Huo Y, Qin X, Xu X. Effect of long-term low-dose folic acid supplementation on degree of total homocysteine-lowering: major effect modifiers. Br J Nutr. 2018 Nov;120(10):1122-1130. doi: 10.1017/S0007114518002477. PubMed PMID: 30401001.